When we went on our recent trip to Orlando, I posted pics on the Facebook Page throughout the trip and many people told me they thought it was cute that my big kids still liked having me pack a travel bag to keep them busy en route. The truth is that I did these bags when they were little and then stopped once they got older because I figured they could handle keeping themselves busy. They could but....they really missed having me surprise them on each trip. Note: some of the links below send me a referral bonus if the items are purchased through the links I've posted. 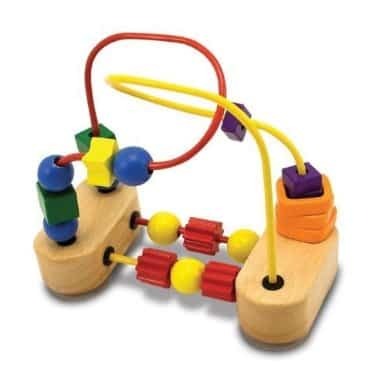 A miniature version of the bead mazes often seen in doctors offices or preschools. Little ones always have fun putting links together. Each link works well as a teether. Just a little warning that there is a slight rattle to the pieces. Little ones love mirrors. 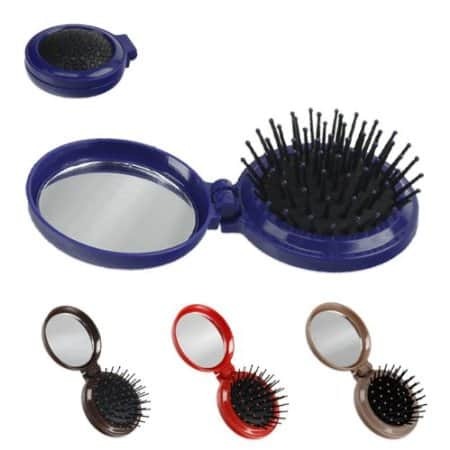 This is the one I have in my purse and it doesn't seem like it would break very easily. Just about anything from Melissa and Doug is awesome. I really like this gear toy for little ones to see how they all work together. 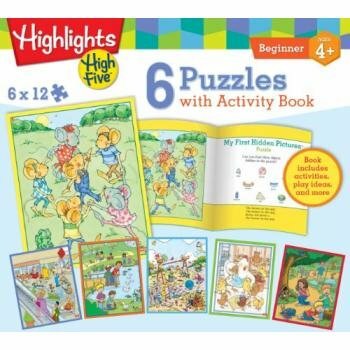 Highlights magazine is well-known for school-aged kids but Highlights High Five is for preschoolers. This pack has jigsaw puzzles with an activity book. 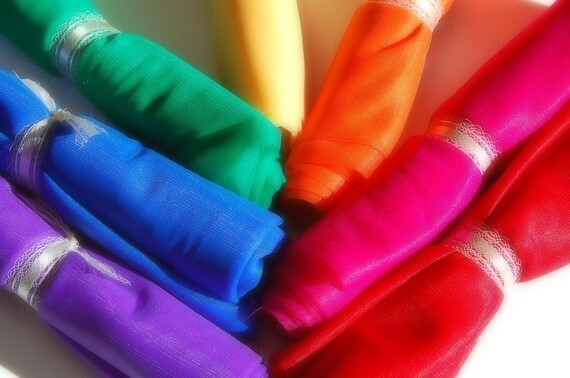 Pick any 6 colors you want. These are much more affordable on Etsy than anywhere else I've seen. Use play silks for dress-up, to create little tents at your seat, whatever you want. No-mess, super portable, never runs out of "ink" since you just add water. 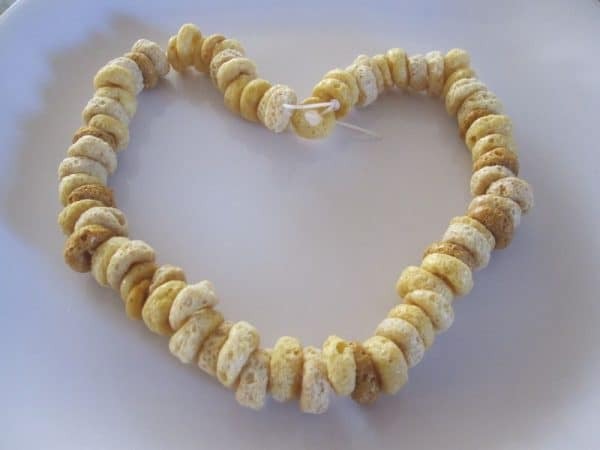 Bring along Cheerios or other ring-shaped cereal or candy and make necklaces with floss...and then eat it! 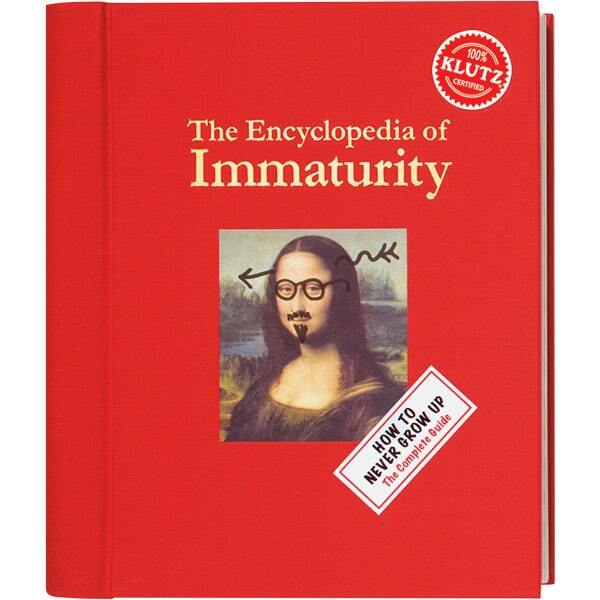 This is an old book that was published over 10 years ago but you can still buy used copies online. It's a huge book with over 800 photos of....everything. 5 star ratings on Amazon and BarnesandNoble.com. 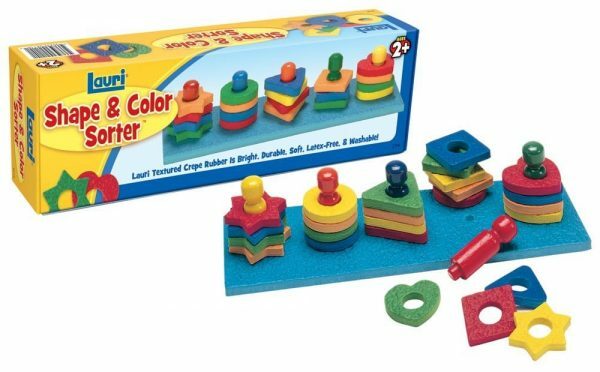 A colorful toy to keep kids busy and, best of all, it's quiet. A spill-proof, mess-free, quick-drying and colorful way to paint. So many possibilities with pipe cleaners (my daughter has never stopped loving them, actually) - necklaces, create buildings, characters, etc. Sticker book with 20 faces and over 250 stickers to customize them. Strong enough to stick to things but easy to remove. Seem like a weird suggestion? 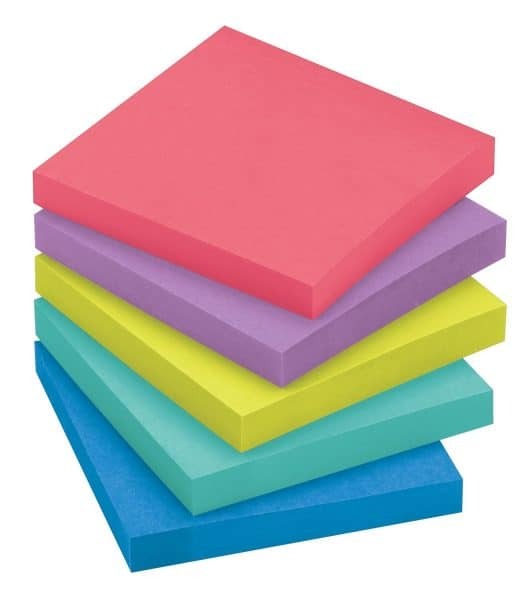 Welll...you can use it for a lot of things: tear off pieces to stick to things and remove easily, create tracks to race cars through, make a tic-tac-toe board, outline a hop scotch court, cover outlets in your hotel room, etc. The blue style (made by Scotch) is better than others because it has the right amount of stickiness and is a fun color compared to other brands. 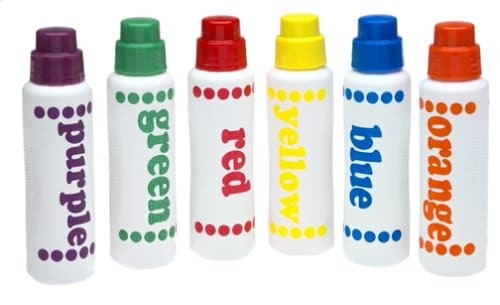 Special ink used in Color Wonder products make it mess-free and great for traveling. 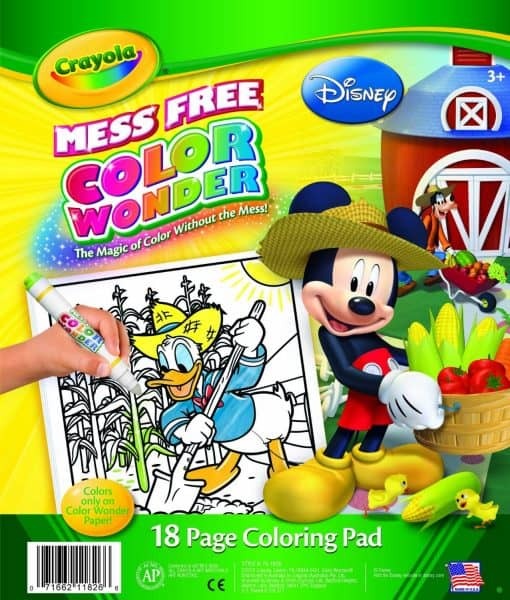 Interactive workbooks that include coloring, designing, drawing, fun facts and activities. 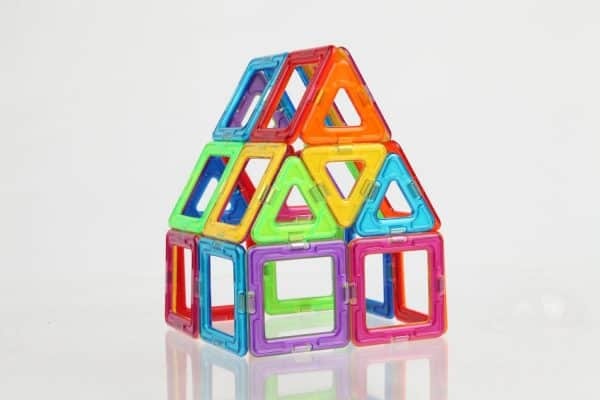 Combine magnetic pieces to form lots of 2D and 3D shapes. Lots of different sizes of sets available, all 5 star reviews on Amazon. 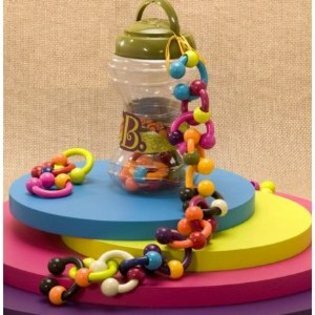 I love just about anything from the Melissa and Doug brand. 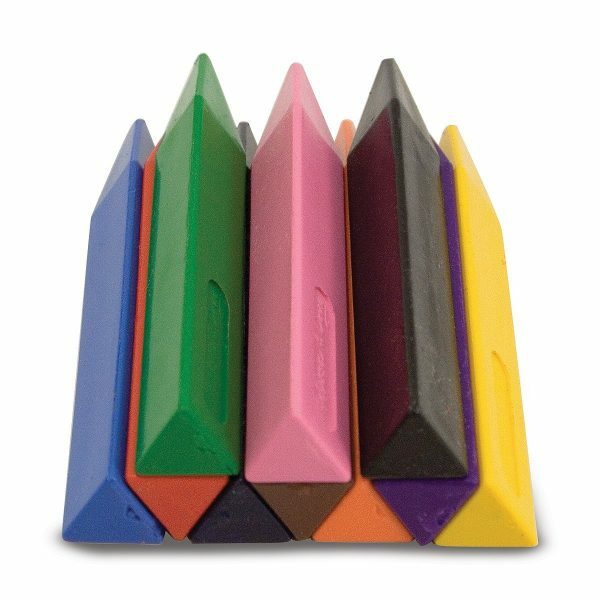 This set of 10 jumbo crayons is triangular-shaped which means they won't roll. Comes with a flip-top case. Gather some items from home - old necklaces, scarves, bracelets, sunglasses - and put together a bag that you can use to play while traveling. Tales2Go is an audiobook service for kids. Audio is available on Apple devices and desktops. 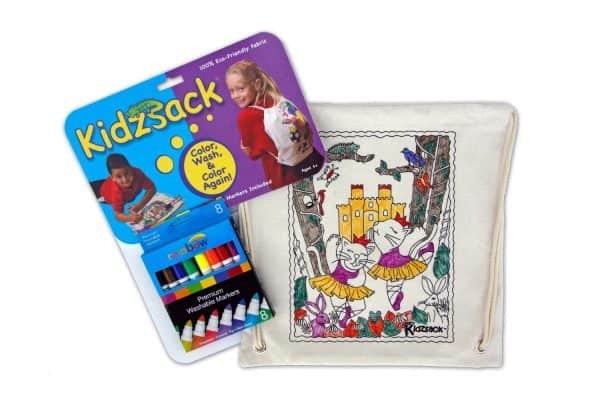 Kidzsacks are color-your-own drawstring backpacks. Several designs available. 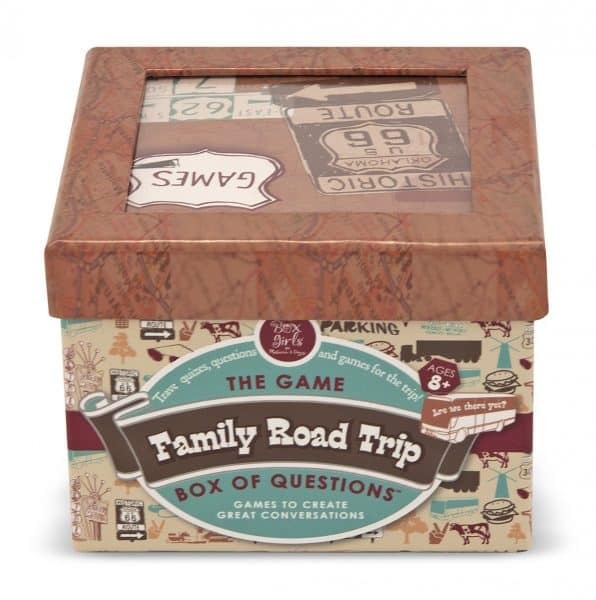 Dozens of conversation starters to help you pass the time on your road trip. The topics are better suited to older kids than younger ones. 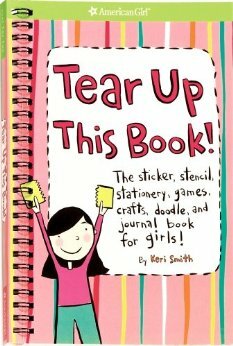 This book was created by American Girl and the cover pretty much says it all: "the sticker, stencil, stationery, games, crafts, doodle and journal book for girls!" My son (and all of Amazon) loves this book. Super fun, super interesting and keeps kids busy for hours. There are actually 2 editions of this book (version 1 and 2) so if you like it, you can get the second for a later date. 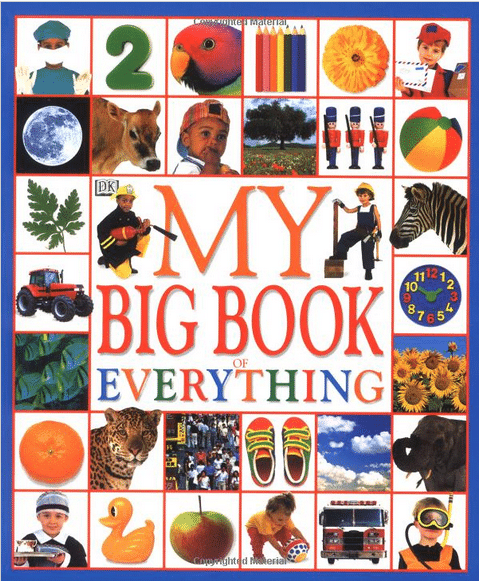 I'm pretty sure we've owned 90% of all Klutz books ever made. Pick ones that match your child(ren)'s interests. Just be careful not to get ones with lots of small parts that could get lost while you travel. If you've never played this game, you should. It's freaky how it figures out what you're thinking of and this version is even better. Just be sure to turn the sound off so you don't bother people sitting nearby. Does your family watch Ted Talks like ours does? 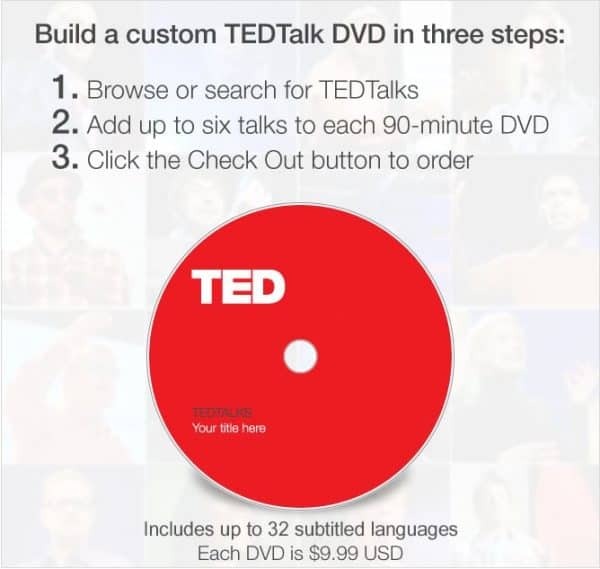 You can go online and pick up to 6 talks to have burned to a DVD and mailed to you (and you can give each DVD a title of your choosing). I surprised our kids on a really long road trip and had a DVD created for each of them based on their interests. They loved it. 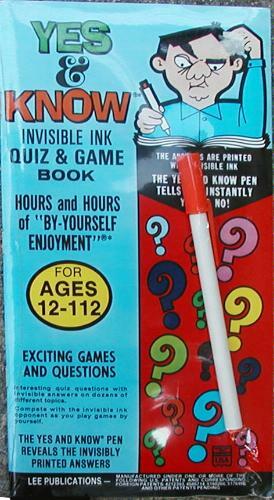 These invisible ink books contain lots of games and puzzles that are suitable for older kids or adults to solve. 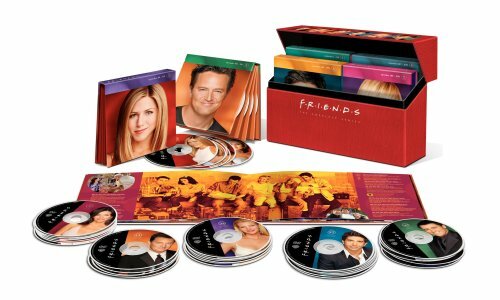 Did your teen recently become a fan of a syndicated sitcom that aired years ago? Buy them a season on DVD or iTunes to watch while you travel. 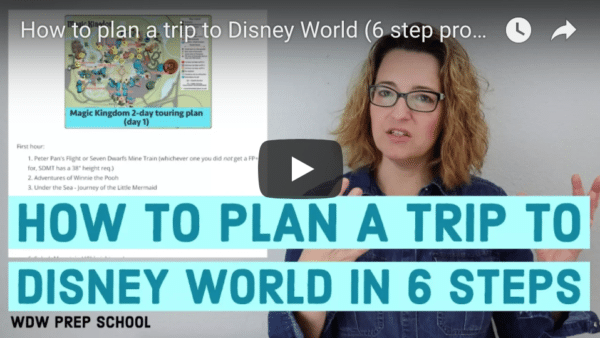 Let the kids pick out some new apps or music to listen to through the trip. What do you use to put all of the items in? I am making my girls a little pack of stuff that you have suggested and having a harder time figuring out what to put it in to give to them so that they have everything in one place for their carryon on the plane. When my kids were little, they always had their own backpack that I’d fill with items like the ones shown here + anything they wanted to bring (favorite snacks, blankets, etc.). 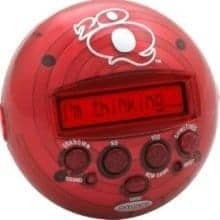 20 Questions is SUCH a fun game; we have one from when I was a kid, and my sister found a Disney version at a used children’s store! My niece is obsessed with this game, and we are definitely taking it on our road trip to Disney in May. : ) Awesome ideas here Shannon, thank you! For book-loving kids the latest book in the series is always really nice. Just a tip for driving–I usually pack colored pencils or markers for my girls because crayons and the hot Florida sunshine can make for a very melty mess! Found this one out the hard way. Thanks for the reminder that even the older kids like travel suprises. We are driving to Disney in May. I’m starting my list! Don’t forget madlibs! My 11 and 13 yr olds still love those! Also, the travel games like yahtzee and farkle are perfect for that age. Thanks for the great ideas for older kids. My kids will be 10 & 12 when we travel, and I am definitely going to get some of these suggestions before we leave. Great ideas Shannon! 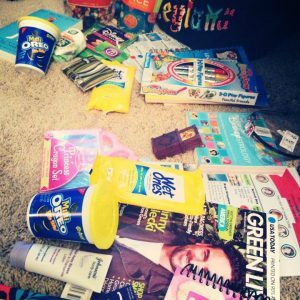 I did trip packs for my nieces/nephews when they were little, but have not done them once they got older. 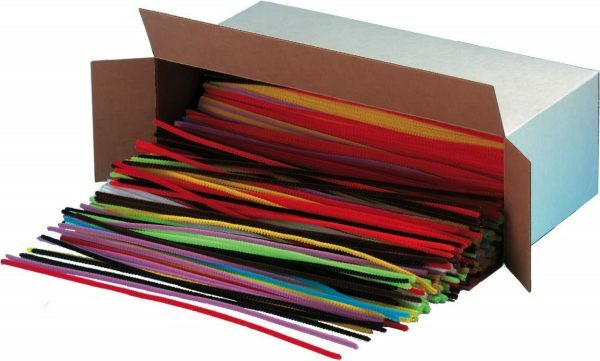 I remember having as much fun making the kits as the kids did opening them! One twist we used for long road trips – all the items were wrapped and the kids could open 1 per hour (or half hour for shorter trips). Each item had a hint attached such as “open in the sunlight” for a pair of sunglasses or “open for a sweet treat” for a snack bag of cookies. The younger kids got help from older siblings (or parents) on reading the labels. Part of the deal was they had to clean up their own trash at each rest stop or they lost an hour’s treat. I’ve had a lot of success with origami. Also colored index cards together with basic art supplies (e.g., markers, stickers). I’ve been hitting up Walmart and the Dollar Store in preparation for our Disney trip in October. My boys will be 5 and 1/2 and nearly 4 when we go and so far I’ve collected a multipack of 30 piece puzzles, 4 activity packs that come with a mini coloring book, crayons, and stickers (all Disney themed), a cheap bingo game, and mini magna doodles for both of them. Plus, my mom made them each a “car wallet” that holds a few matchbox cars and unfolds to have a little street for the cars to drive on. Plus, we’re flying JetBlue, so there’s always the TV to keep them amused if needed. I’m still undecided on whether or not I’m going to bring their Leapster Explorer (5 and 1/2 year old) and the Leap Pad (nearly 4 year old), as they’re a bit bulky and I’ll be really upset if we lose any games, etc. I think I’d be shocked to receive a letter from a friend. What a nice idea. These are great ideas! I only wish this post had been up a few weeks ago. We leave 1 week from today. Maybe I can convince my dear husband to let me buy just a couple more things…. 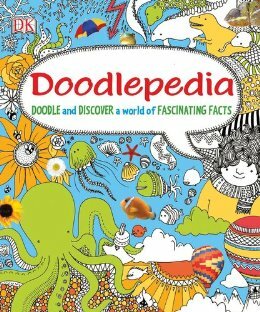 They also have a travel activity book that my 6YO loves (http://new.myubam.com/p/1580/travel-activity-book). Thanks, Martha. Those look like great activity books. I think my daughter would’ve loved them when she was younger. Great ideas for “travel” bags!!! Thanks for sharing the creative, interesting, & fun activities – lots of choices & variety of things to do to pass the travel time. Congrats on the career move. When we travel to Disney, I give my kids Disney pez dispensers with candy. It is the only time that they have those. Also, I love these books http://www.amazon.com/Disney-Princess-Look-Picture-Puzzles/dp/1605531316/ref=sr_1_3?s=books&ie=UTF8&qid=1373027700&sr=1-3&keywords=Disney+find+the+difference. We don’t write in ours so that we can reuse them. They keep the kids busy for hours. Yeah, I didn’t mention snacks/candy but that’s a must as well. Thanks for the book link. Travel bags are a must. I have seen several toddlers melt down on airplanes because they couldn’t watch their DVD as soon as they boarded. Please parents pack some activity books to do while the airplane loads. 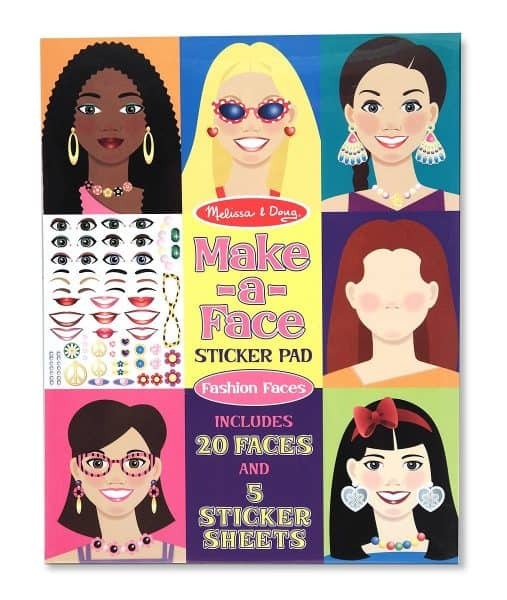 My kids love Melissa & Doug create a face and other sticker books. Local teacher stores also have many educational and fun toys. Yep, always frustrates me to see fussy kids that can’t be redirected to an activity. We are gadget freaks at our house but non-gadgets have to be part of keeping them busy. I just have to say that I normally pack stuff for myself too when I fly. 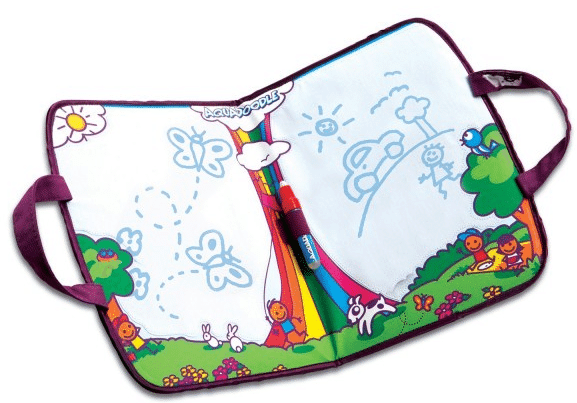 I know it sounds funny but I love the invisible ink/magic pen books. I usually end up getting a Disney one you can color. Doesn’t sound funny to me! Great idea.